When a passenger vehicle is up against a truck that is several times its weight and size, the outcome is usually catastrophic. Not only is there the imminent danger of colliding with a swerving truck, but there are also other risks to consider when tire debris is scattered in the road. 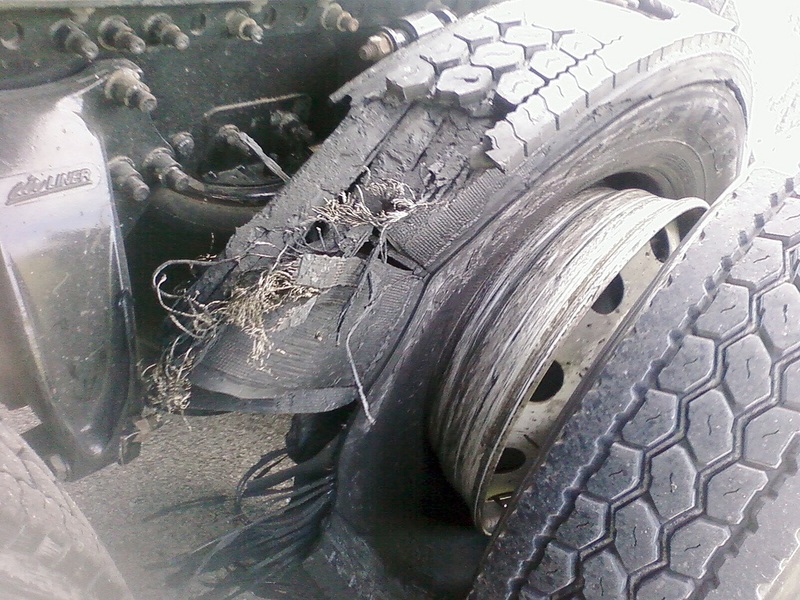 As drivers encounter rubber remains, the normal reaction is to veer away from it, which can easily lead to an accident. Those who aren’t able to miss driving over the jagged particles can also find themselves with a punctured tire that may cause a collision as well. The chain reaction that can occur from a tire blowout on a truck can affect numerous people and cause life-threatening injuries. The Oklahoma truck tire blowout accident attorneys at Car Accident Help have handled a significant number of truck accident cases and are always dedicated to providing high quality legal representation. They will increase your chances of receiving a maximum award settlement for your injuries so you can pay your medical and other expenses without concern. Call us today at (405) 285-4357.